HN Issue 15: Standing Tall: The Community Of Bufukhula Graduates! Nine years ago, the village of Bufukhula saw itself as a community forgotten by the government and the world. Today, transformation is taking place. The day was warm and humid. Large billowing clouds moved through the blue sky. I was one of maybe a thousand people packed under four white tents in the village square, captivated by a group of smiling children shouting in unison. “We fish for knowledge from books! In my 15 years with FH I’ve always been familiar with the “Teach a man to fish” expression. But I had never heard it interpreted quite so poetically as this. The brightly dressed students were one of several groups featured at the November 15 community graduation for Bufukhula, Uganda. There were songs, poems, skits, and speeches to celebrate the successful nine-year journey to self-sufficiency. Earlier in the week I overheard some village leaders talking as they prepared for this celebration. I half expected to hear them say they were sad that their friends from FH were leaving. Instead, I heard them speaking with pride about how their hard work and example had inspired the nearby community of Nashisa to partner with FH. As they made arrangements to celebrate their own successes, they couldn’t stop talking about the hope they had for their neighbours! This expression of care for neighbours is one of the signals Food for the Hungry watches for. It helps our staff determine if a community is ready to graduate from its development program. When we first came to Bufukhula in 2004, the area was known as a “jungle land”. People were afraid to pass through. There was no school building and there were only two people in the community who had completed an education. The farming practices were severely limited and people were stuck in a cycle of insufficient nutrition. 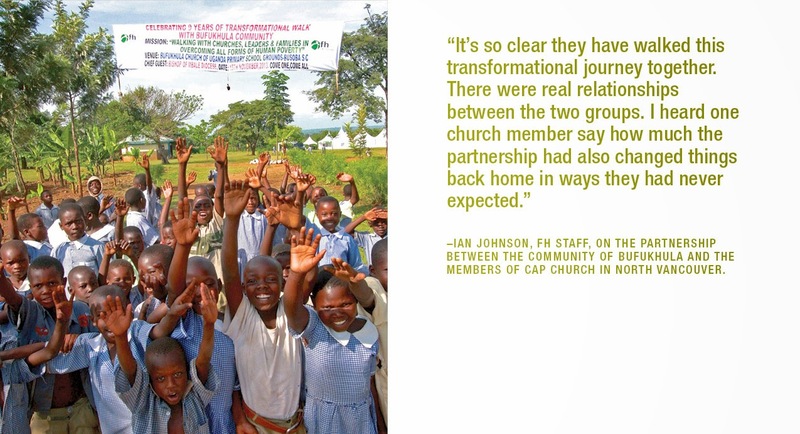 Back then we helped the community leaders start farmers’ co-ops and a dairy cow program to improve their situation. We started with nine cows. Today there are 82! They are healthy and multiplying and the land has been revitalized through proper use of organic manure. Some farmers are even using biogas from the manure as fuel for cooking and heating. Before, the option for fuel was cutting down trees and branches but rarely replanting. Biogas systems are better for the environment and save people an incredible amount of time. John Mukooli plans to install a biogas system. He used to struggle just to feed his family. But that all changed when he joined a farmers’ co-op. He started by preparing a pen on his property to house the group’s first cow. As more calves were born, each family in the collective got a larger share of the benefits. Today, John’s family has their own cow, Precious, and she has brought big changes for the family. They use the manure in their garden and the improved crops provide nutrition for the family. They also get 14 litres of milk per day to drink and to sell. John banks the income, and the sales are helping him support his children at school. John isn’t the only one saving money in Bufukhula. There are now more than 25 Savings Groups where members meet regularly to save together and make small loans to each other to help the savings pool grow. Members study leadership and economics and have sometimes chosen to work together on income-generating projects in agriculture and business. For many of the women, it’s their first chance at an education. When we first came to Bufukhula, it was unheard of to send a girl to school. I remember meeting a woman named Rose who agreed with her husband that a girl should be raised to a certain age and then married off for a dowry. It wasn’t just the belief in Rose’s family — it was firmly embedded in the culture. "We always believed that since we were born poor we would also die poor. We had not hope till FH came and told us that God loved us and had a better plan for our community than this," exclaimed one local farmer and father of sponsored child. Growing up in rural Uganda, I understand the fatalistic worldview that poverty is a life sentence. As a child, I was taught that when your grandfather and father are poor, that will be your life too. Nine years ago, Bufukhula saw itself as a community forgotten by the government and the world. People wanted change back then, but the prevailing feeling was a sense of powerlessness. They couldn’t see all the resources both within and around them. The picture is completely different today. The community is proud of what they have accomplished, and people are always expressing their appreciation to God for their gifts and resources. Neighbouring villages now come to Bufukhula for advice, and Bufukhula helps them start their own co-ops, savings groups, and training sessions. The community even decided to send a delegation of leaders to help support Nashisa, a nearby community that partnered with FH in April 2009. One of the leaders chosen for the trip was Rose, the woman who used to think that girls didn’t belong in school. Today, her daughter has finished her senior 6 exams, meaning that her next step is university. In the last nine years, the community has built a school, church, teachers’ quarters, and health centre. There are currently more girls than boys enrolled in the primary classes, and their marks are starting to climb. In fact, there is now friendly competition between their school and the school in Makhai, the first community in the area to partner and graduate with FH. 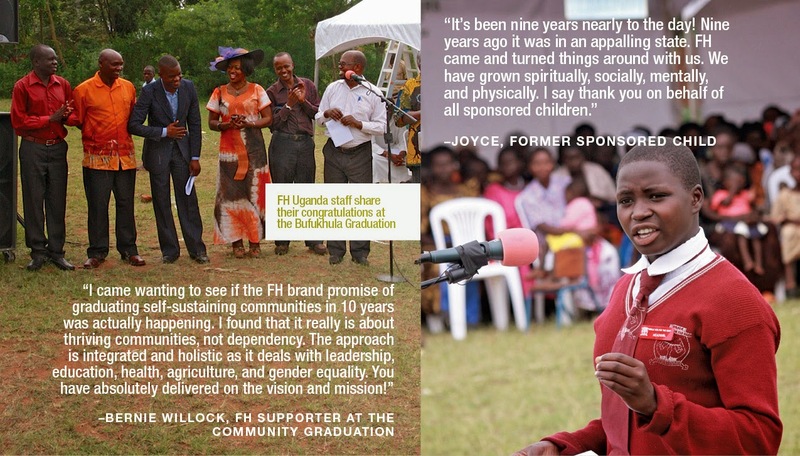 Moses Mwalye is the Area Program Manager for FH in Mbale, Uganda. Fifteen years ago, Moses was the first FH staff member sent to Mbale’s Makhai community. Sadly, because of the lies that poverty often creates, Makhai’s leaders initially distrusted any outsiders. So what did Moses do? He started selling bananas along the side of the road, as a way to meet the families in the area. The community eventually came to trust Moses and accepted his offer to begin teaching primary school. Moses then used this platform to introduce partnership with FH. Ten years later, the once dangerous and desolate place went on to graduate as completely self-sustainable and full of hope for the future. It was Makhai’s early signs of transformation that convinced the leaders in Bufukhula to partner with FH. Moses was thrilled to help oversee the work in this community as well. In addition to his work in development, Moses is also a husband, father, farmer, and a trained teacher. Since 1994, Food for the Hungry Canada has helped 37 communities graduate as fully self-sustaining. 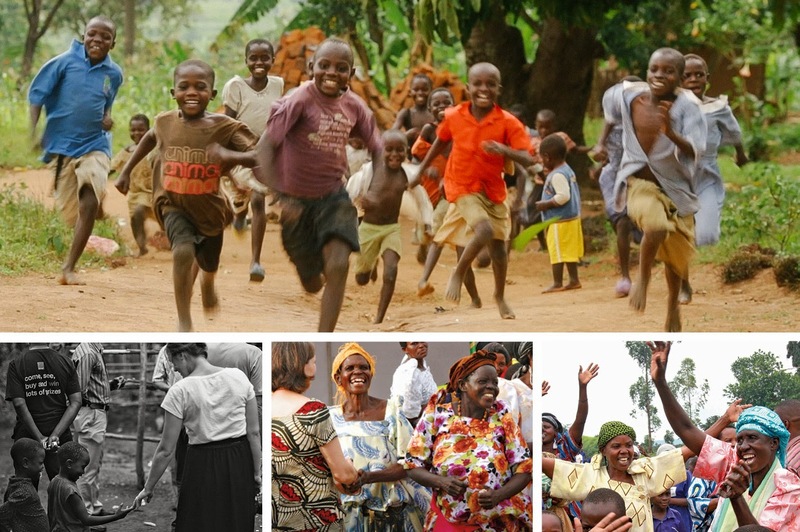 FH Canada currently works with 26 partnered communities in 10 countries. When Food for the Hungry is invited to walk with a community, it’s the beginning of a long-term partnership. FH staff work with community leaders to take stock of their resources, choose top development priorities, and set a realistic graduation date for the community to work towards. Although there isn’t a one-size-fits-all timeline, the process of a community becoming fully self-sustainable usually takes about ten years. Food for the Hungry Canada is a registered non-profit organization dedicated to providing long-term relief to those stuck in poverty through sustainable community development. As part of the global Food for the Hungry (FH) network, we currently work in ten countries around the world. Through project development, child sponsorship, emergency relief, and medical equipment distribution, FH Canada strives to meet the physical, spiritual, social, and educational needs of each man, woman, and child living in poverty. Food for the Hungry: HN Issue 15: Standing Tall: The Community Of Bufukhula Graduates!